The Day has arrived. On June 6, 1944, known as D-Day, some 156,000 American, British and Canadian forces landed on five beaches along a 50-mile stretch of the heavily fortified coast of France’s Normandy region. Codenamed Operation Overlord, the invasion was one of the largest amphibious military assaults in history. 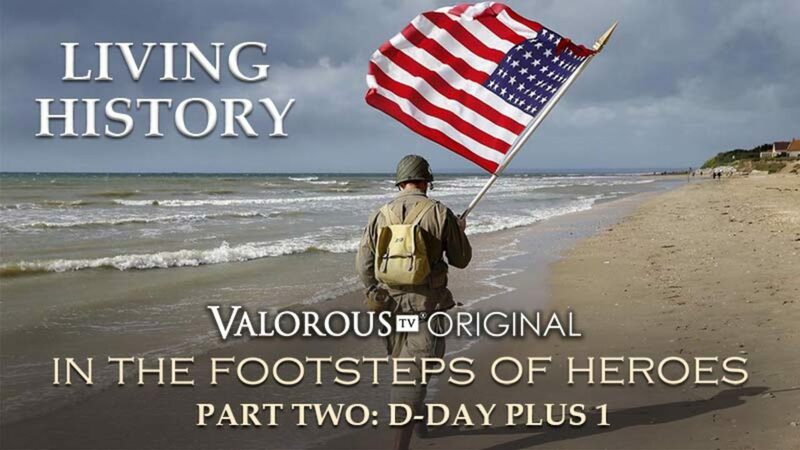 In this episode, Ted Fitzgerald joins the Living History reenactors as they recreate the invasion and fight to retake the beaches of Normandy. It is a glorious victory for the Allied armies. By late August 1944, all of northern France was liberated, and by the following spring the Allies had defeated the Germans. The Normandy landings have been called the beginning of the end of war in Europe.